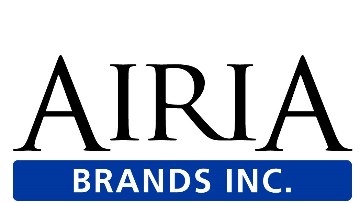 Airia Brands, Inc., is seeking an entrepreneurial and results-oriented Product Manager to contribute to Airia Brands, Inc., growth and evolution. At AIRIA, we value technical know-how as much as the ability to socialize ideas and work cross-functionally. As a Product Manager, you will be expected to evaluate the current market and leverage context from the industry, our existing customers, stakeholders and market data. You will have the opportunity to help us shape our product road map and turn abstract ideas into user-friendly features. The Product Manager role is new to AIRIA, your responsibilities will be focused on delivery as well as continuous improvement of our processes. · We take great pride in our first-class team and family-like culture. Open-door approach at all levels. · The premium and most progressive product on the market. Focus on continuous innovation. Reasonable accommodations are available for applicants with disabilities throughout the recruitment process. If you are selected for an interview and require accommodations for interviews or other meetings, please advise Human Resources.